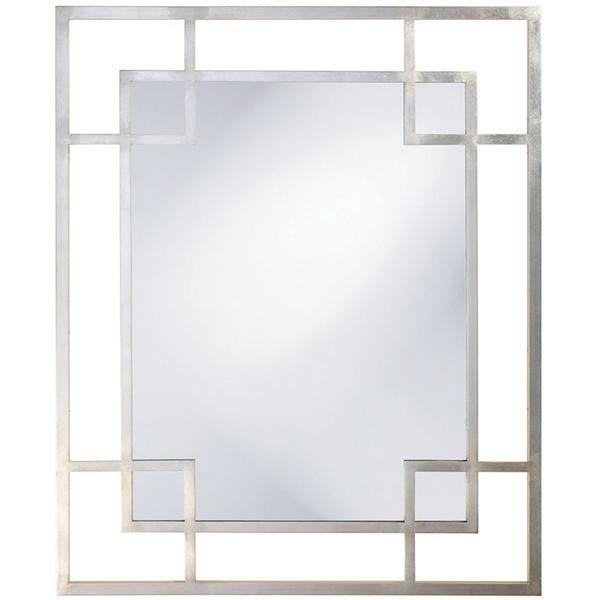 The Liberty Mirror features a rectangular frame fashioned from a network of lines in a simple architectural design. It is finished in a platinum silver leaf. Its sleek style makes this mirror a favorite for bringing some flair to your decor. This simple yet stunning piece would be a great addition to any room. It is a perfect focal point for any design. Hang in either a horizontal or vertical orientation. Customizable for larger orders.